Online Labels is a one-stop source for laser, inkjet thermal and custom printed labels. 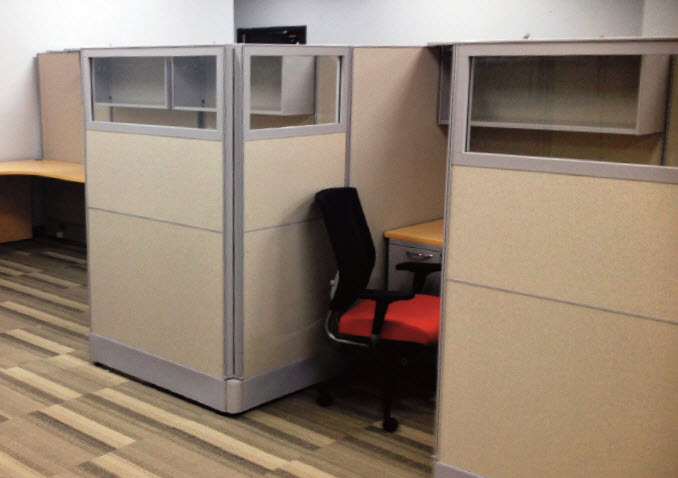 Looking to outfit their new corporate headquarters, they turned to AIS for their office furniture needs. Online Labels and their sister company, Consolidated Label, needed a new headquarters to account for the accelerated growth and expansion of each company. 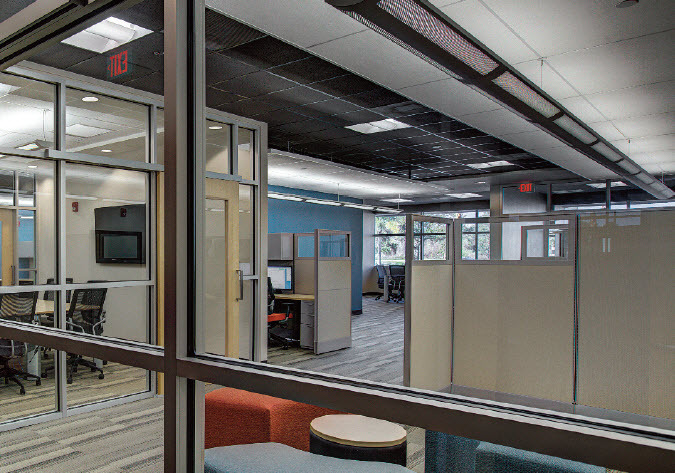 Excited about their new space, they turned to AIS to outfit their entire front offices as well as their shared communal areas. 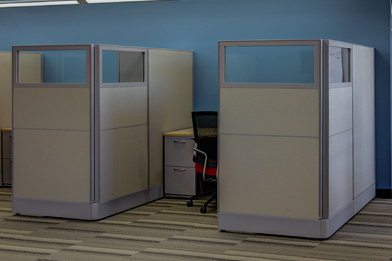 Due to the customizable, interchangeable panels, the customer selected Divi for their workstations. 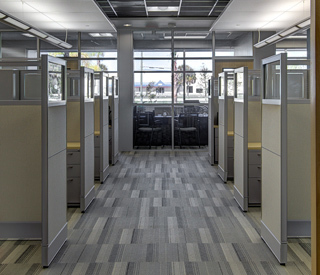 They used both 80" high and 67" high to accommodate the different needs of different departments. Sliding doors were used on all the 80" high for extra privacy. 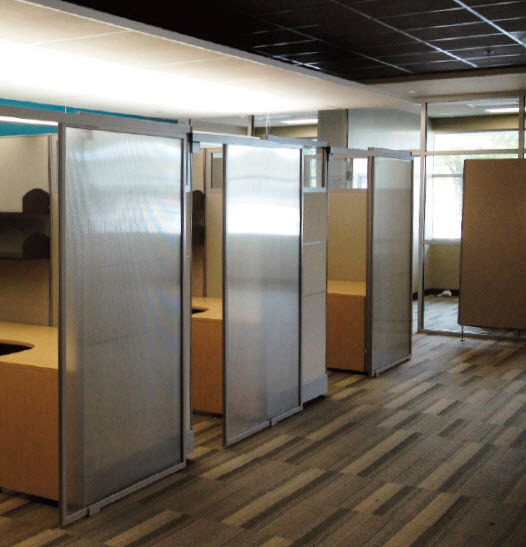 The used of both segmented and monolithic panels helped give departments different looks. Many major manufacturers were considered but AIS came out in the lead for the following reasons: quick lead-time, price point and flexibility.